The TED™ Awareness Sign provides you with a ready made training tool that can be deployed in minutes and receives instant recognition from users throughout your chosen deployment areas / facility. 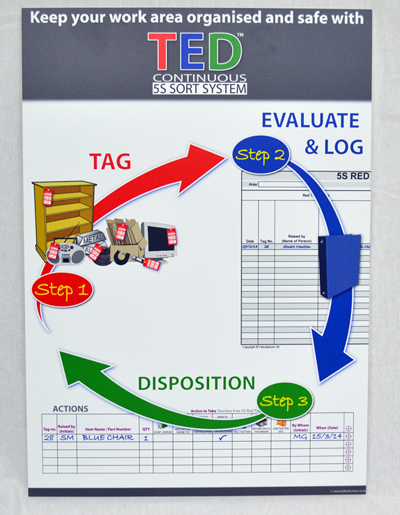 This heavy duty sign embeds the TED™ principle into the minds of your workforce, ensuring that sustainment of continuous sort (red tagging) is achieved. Created to compliment TED™ kits.